Kulzer was founded 65 years ago in Frankfurt am Main, Germany. In 1939, Kulzer became a joint venture (50% each) of Degussa in Frankfurt and Heraeus in Hanau. Since 1987, Kulzer has been a 100% subsidiary of the Heraeus group and today bears the name Heraeus Kulzer GmbH & Co. KG. Heraeus Kulzer manufacture a wide range of embedding products for histology and metallography. Resins used in Medicine and in technology must be of high quality, easy to use and have dependable properties to ensure their successful employment. 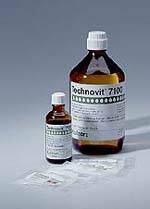 The development of the Technovit series of resins meets all of these requirements, both for histological and metallographic applications. 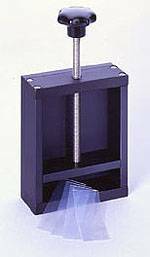 They are complemented with a broad selection of moulds, curing systems and ancillary apparatus for the mechanical grinding and polishing of specimens prior to microscopical examinations. Emgrid Australia Pty Ltd is proud to distribute Heraeus Kulzer products for histology and metallography in Australia and New Zealand. The principal of Emgrid Australia, Craig Noble has been associated with Electron Microscopy for more than 15 years. For more information on Citifluor products, please Contact Us.